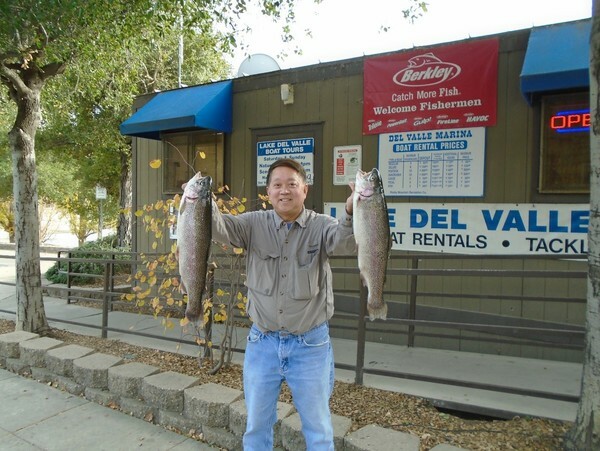 The water here at lake Del Valle has dropped immensely changing the dynamic of the lake in the past couple weeks and how to fish it, the water temperature continues to drop as well, its clocking in at about 60-62 degrees. The trout fishing has picked up quite a bit with mice tails being the dominant bait right now many anglers are catching the trout from shore on the east swim beach or in the coves in swallow bay by boat trolling small jerkbaits or tossing them with light line also can work hot pink is one of their favorite colors. 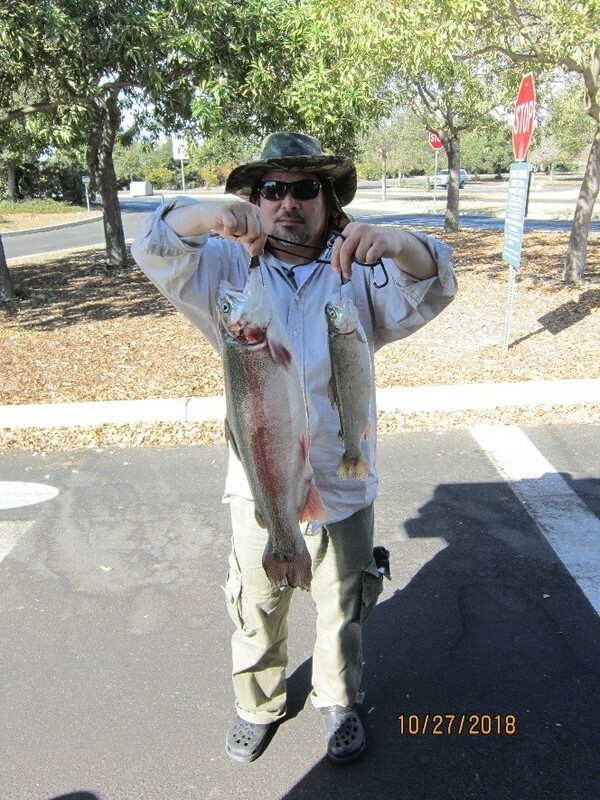 The garlic powerbait and the red, white, and blue powerbait has produced results as well. The bass fishing is still red hot right now with large nightcrawlers being their favorite bait you can find the bass hanging around any sort of structure in the water especially by the shorelines out in heron bay. Lure wise you are going to want to use small swimbaits 2-3 inches work well. or slimmer senkos if you feel like fishing slow you can also troll panther martins 1/8 or smaller work well you are going to want to go about 2-3 miles and fish halfway down medium sized water columns. The striped bass have really slowed down with anchovies being the only thing anyone can reliably get them biting on sitting or drifting them on the bottom of the deeper water is where they will most likely be. The catfish continue to bite out here with sardines or anchovies being their favorite bait as well they like to nest in big reed patches or feed in the muddier water so keep an eye out for these as potential catfish spots. The perch fish are always biting with red worms or mini crawlers being a good way to get them to bite your line if you bring your kids out just fish by weeds or trees in the water with a small hook on these worms and be ready for some bluegill! If you catch any fish out here, we will put you in the fishing report. Please send us pictures, we like to get as many people as possible involved. good luck- Captain Jacob.